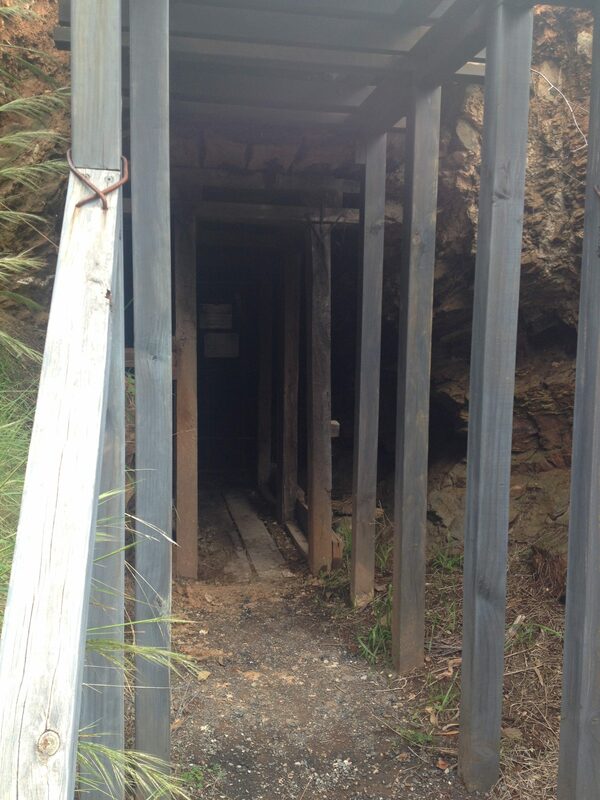 Wheal Watkins is an old lead and silver mine in the Adelaide Hills of South Australian near Glen Osmond. I went to an open day on Sunday held by the Burnside Historical Society. Dave Monceaux was the knowledgeable guide who gave us a surface tour. You can go in a couple of metres to a gate and with torches we could see quite a way back into the hill. The Cornish miners liked to make tunnels into the side of hills where they could. 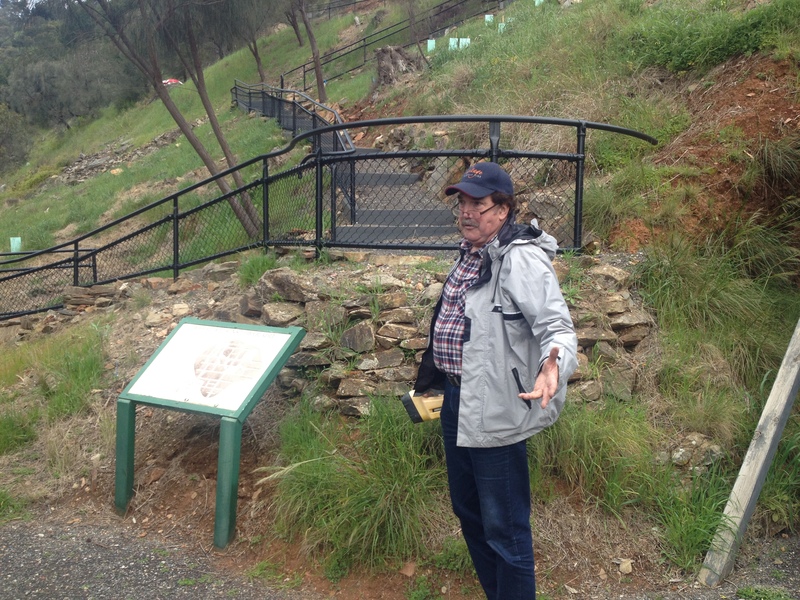 Lead was first discovered on a neighbouring property in 1840 and mining started there in 1841 it was named Wheal Gawler. Mining commenced at Wheal Watkins in 1844. When I got home from visiting the mine I started doing some research into it. 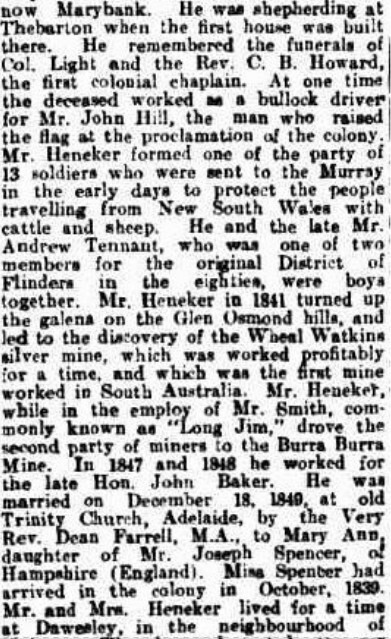 I found that a James Heneker was the first to find lead in the area. I recognised the name as one I had researched for a friend and yes James is her 3x great uncle. In the September newsletter of the Burnside Historical Society is a report on the state of the mine site and what they are doing to preserve and protect it.